The Letty Coppel Foundation celebrates the end of the school year at the New Creation School of the Leonardo Gastelum Colony in Cabo San Lucas. Posted by admin in Comunity Development on 06 25th, 2012 | Comments Off on The Letty Coppel Foundation celebrates the end of the school year at the New Creation School of the Leonardo Gastelum Colony in Cabo San Lucas. The Father’s Day celebration of the collaborators of the Hotel Pueblo Bonito Los Cabos. 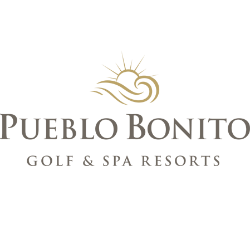 Posted by admin in Comunity Development on 06 22nd, 2012 | Comments Off on The Father’s Day celebration of the collaborators of the Hotel Pueblo Bonito Los Cabos. The VIII Anniversary of the Letty Coppel Foundation 2004 – 2012 Los Cabos. Posted by admin in Comunity Development on 06 20th, 2012 | Comments Off on The VIII Anniversary of the Letty Coppel Foundation 2004 – 2012 Los Cabos.